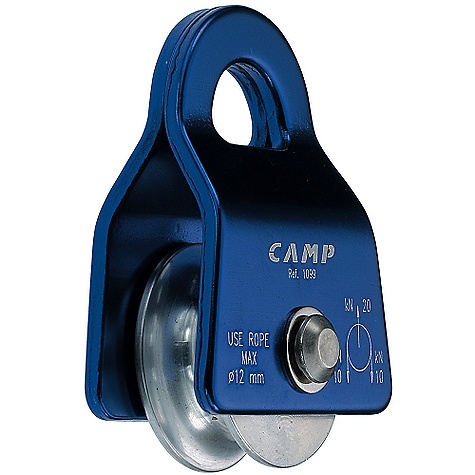 C.A.M.P's pulley with fixed side plates make this an excellent device for quickly rigging a hauling system using an ascender. 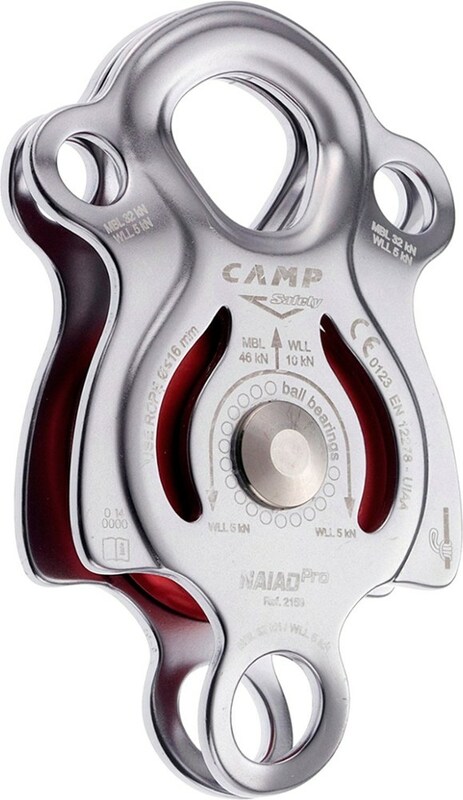 Clip a locking oval carabiner into the two pulley holes, then clip the carabiner to top of an ascender. 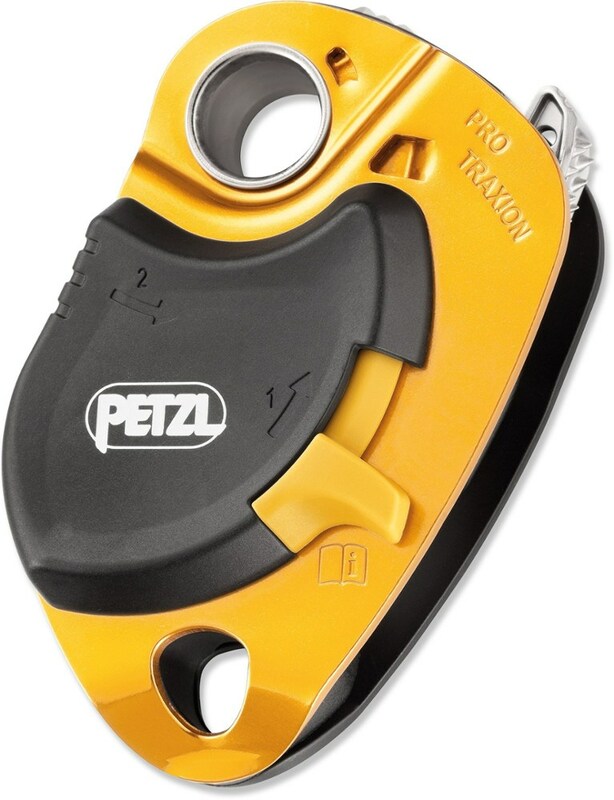 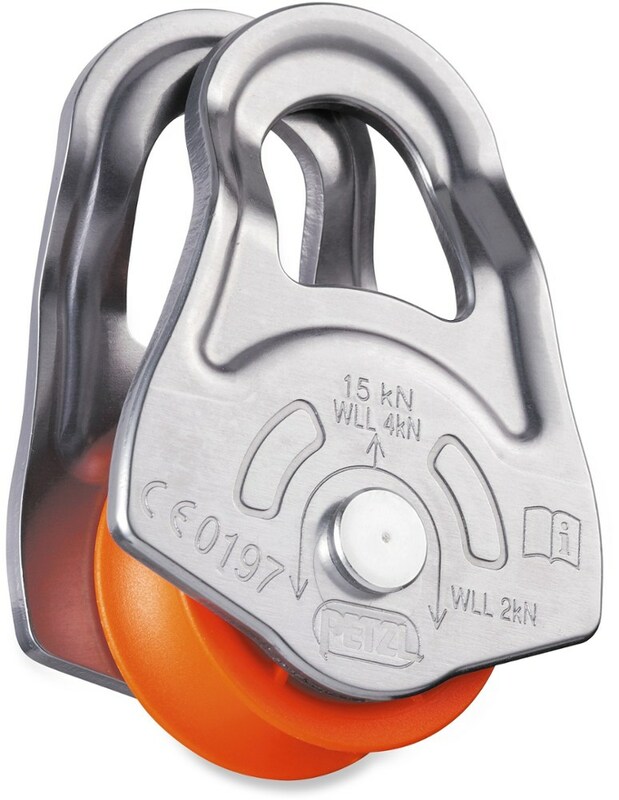 Attach this rig to an anchor point that can rotate (such as a sling) using a locking carabiner clipped to the oval carabiner (between the side plates). 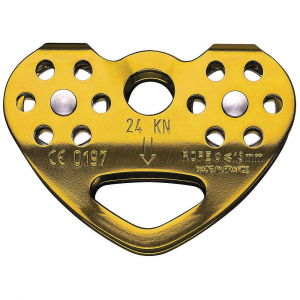 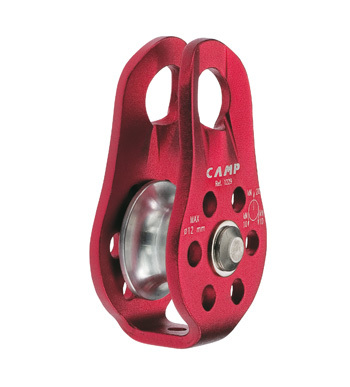 The CAMP Brass Bushing Fixed Pulley is not available from the stores we monitor. 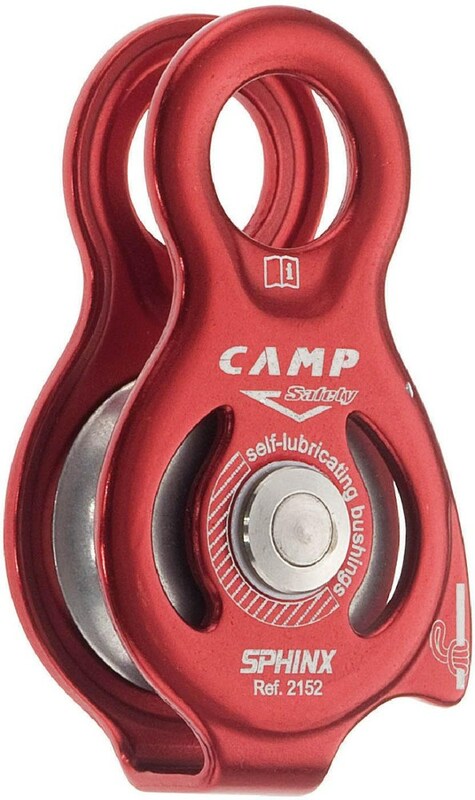 It was last seen May 28, 2017	at CampSaver.com.